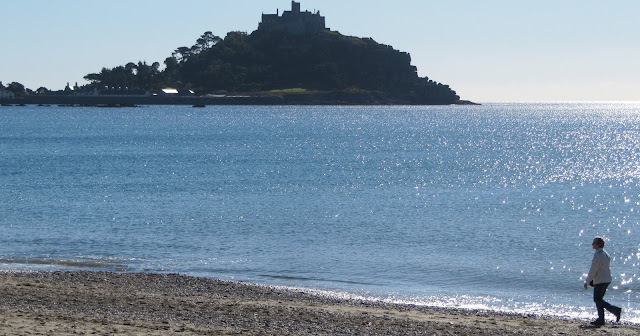 One of Cornwall’s most iconic sites is St. Michael’s Mount and many of our conference delegates ask how they can visit this popular attraction. If you are attending one of next summers 4 MEI Conferences, and would like to visit The Mount, I would recommend that you book a return rail ticket from Falmouth to Penzance, changing at Truro for the mainline train to Penzance, the final stop on the Great Western express from London. 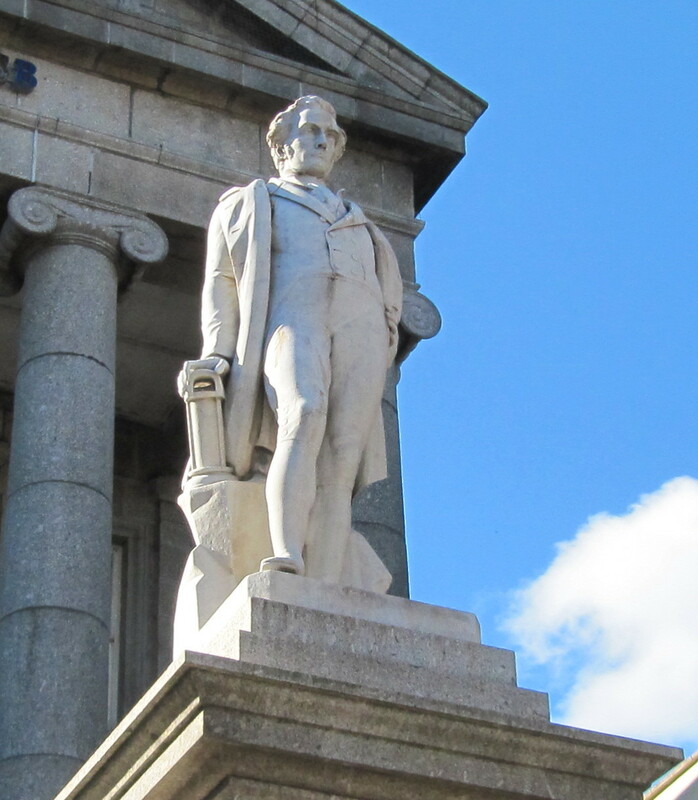 Stop for a coffee in Penzance, the most westerly major town in Britain, and birthplace of its most famous son, Sir Humphry Davy, whose many achievements included the invention of the miner’s safety lamp. Then on to Marazion, either a short bus ride or a very easy one hour walk along the flat coast path and beach. This is by no means one of Cornwall’s most spectacular walks, but you do get great views of the Mount across Mount’s Bay. Marazion is the oldest chartered town in Britain, having been granted this status in 1257 by Henry III, and there is access to St. Michael’s Mount from here by a causeway at low tide, and ferry at higher tide. The Mount is a place of Celtic legend, the island crowned by a spectacular 14th century castle and the tower of its 12th century church. The original Benedictine Priory was built in 1044 by Edward the Confessor and the St. Aubyn family, whose seat the Mount has been since 1659, donated the property to the National Trust in 1954. One of the major themes of next year’s SRCR ’11 conference is sustainability from an industrial as well as consumer point of view. According to the biennial Living Planet Report mankind is plundering the Earth’s natural resources at 1.5 times the rate it can replace them and by 2030 the equivalent of two planets will be needed to produce enough food, materials and water. It is pretty clear that, in order for the minerals industry to remain sustainable, new technology has to be developed to deal with ever more complex and refractory orebodies (another theme of the conference). In my posting of 30th August I asked the question ‘is minerals engineering the world’s most important branch of technology?’ Considering that civilisation as we know it is completely dependent on a continuous supply of metals and minerals, then perhaps it is. 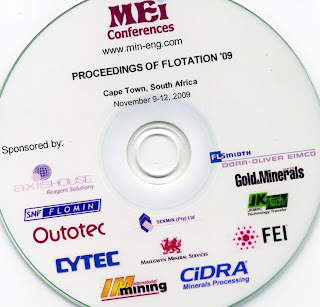 Thirty-four of the papers presented at last November's Flotation '09 conference in Cape Town have now been published in Volume 23 Issues 11-13 of Minerals Engineering, and the papers are available for downloading from ScienceDirect. 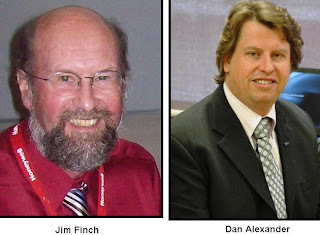 The special issue contains a Foreword from MEI Consultants Dee Bradshaw (JKMRC, Australia) and J.-P. Franzidis (University of Cape Town, South Africa), who also acted as special issue advisors. The first paper in the volume is Prof. Graeme Jameson's keynote lecture on new directions in flotation machine design. 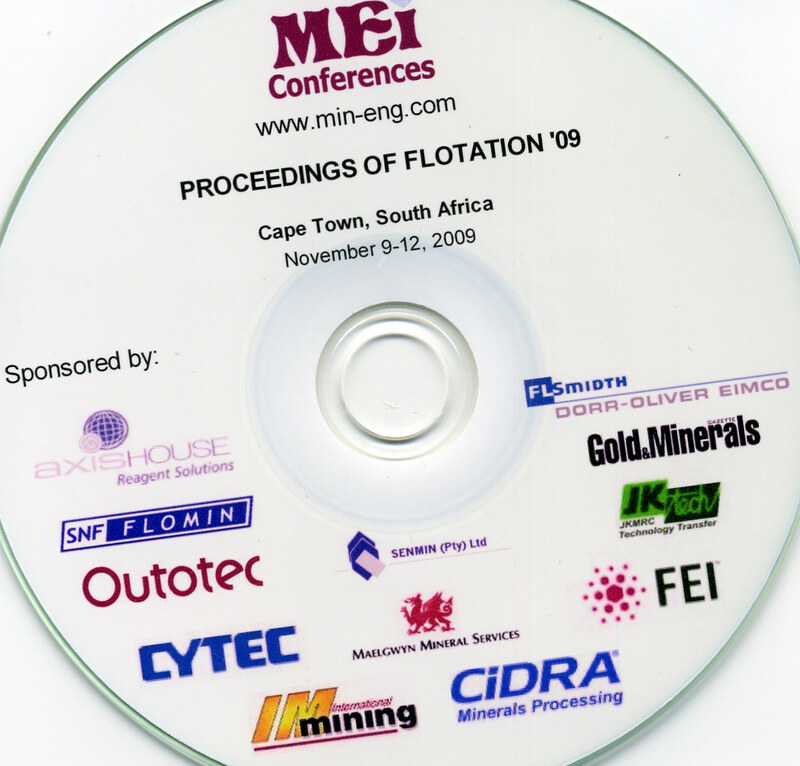 The next flotation conference, Flotation '11, will be held in Cape Town in November 2011, and again will provide speakers with the opportunity of presenting their work to an elite international audience, as well as having the opportunity of publishing the work in the world's leading mineral processing peer-reviewed journal. Could the appalling environmental disaster in Hungary, where caustic red mud poured from an aluminium factory’s containment pond on Monday, have been prevented? I have just searched MEI Online and found an interesting news item from September 2002. Viotec International Ltd announced in 2002 that it had the worldwide marketing and distribution rights to a newly invented process, known as Basecon™ technology, which was registered and patent applied for worldwide, and had been successfully demonstrated at alumina refineries in North American and Europe. The technology economically converts basicity (mainly sodium hydroxide) and soluble alkalinity (mainly sodium carbonate) into alkalinity that is retained as low solubility hydroxide, carbonate or hydroxycarbonate minerals. After minor additional treatment, the spent neutralising fluid can be safely discharged to the sea or retained in an evaporating basin for salt recovery. In the report the Directors believed that the implications for the alumina industry are significant. For decades, the alumina industry has been investigating options for treating, disposing, and using bauxite residue, a by-product of the Bayer process, to extract aluminium oxide from bauxite ore. The sheer volumes of residue waste generated, together with the cost of treatment and handling, have been the primary issues affecting its use in beneficial applications. The worldwide alumina industry produces over 70 million dry metric tons of bauxite residue annually. Does anyone know what happened to this process? I cannot find any follow-up news, and whether it was applied in Europe- if so, why not in Hungary? DEM Solutions, the Edinburgh-based DEM-modelling software company, is to sponsor Computational Modelling '11, which will be held in Falmouth, UK, next June. This is MEI's 3rd conference in this series, the last event, Computational Modelling '08 being held in Cape Town. If you would like to present a paper at the conference, the deadline for abstracts is the end of December. 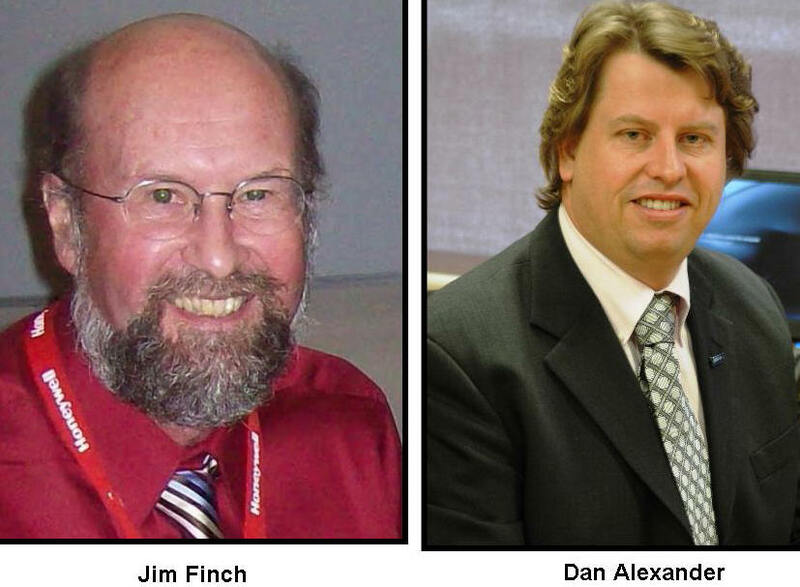 Authors will retain copyright of the papers in the Proceedings CD, allowing them to submit final versions after the conference for possible publication in a special issue of the peer-reviewed journal Minerals Engineering. Computational Modelling '11 is immediately followed by Physical Separation '11 at the same venue, and there are discounted rates for those attending both conferences. Cornwall's iconic Eden Project will be the setting for the conference barbecue at MEI's 2nd Sustainability through Resource Conservation & Recycling conference (SRCR '11), which will be held in Falmouth in May. The centre-pieces of the Eden Project are the two giant biomes, each sustaining two diverse ecosystems, the tropical rainforests of Malaysia, West Africa and South America, and the more temperate Mediterranean ecosystem. The whole complex is housed inside a disused China Clay (kaolin) pit in the St. Austell region. The Eden Project is about one hour's coach drive from Falmouth, and delegates will have time to explore the Tropical and Outdoor Biomes before meeting up in the Mediterranean biome, which will be open for our exclusive use, for a barbecue with complimentary wine, beer and soft drinks. The scope of SRCR '11 can be found here. If you would like to present a paper, the deadline for call for abstracts is the end of November. We invite corporate sponsorship from interested companies. SRCR '11 is immediately followed by Risk-Based Approaches to Major Decisions, at the same venue, the Falmouth Beach Hotel. There are discounts for delegates attending both events. Great to hear of my old friend Cyril O'Connor's award today in MEI Online. Cyril and I go back a long way. 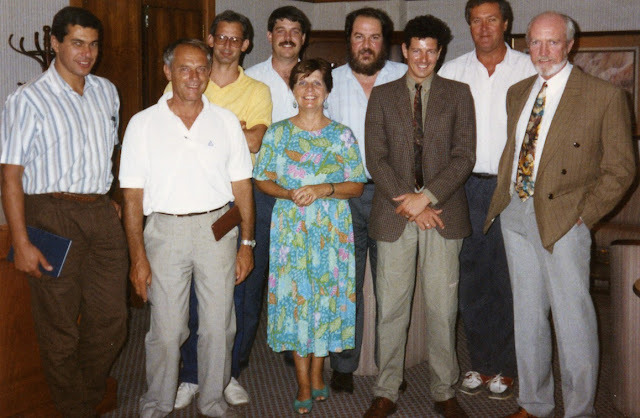 I first met him in 1982 when I went out to Cape Town to develop and present the first mineral processing syllabus for the Chemical Engineering department of the University. 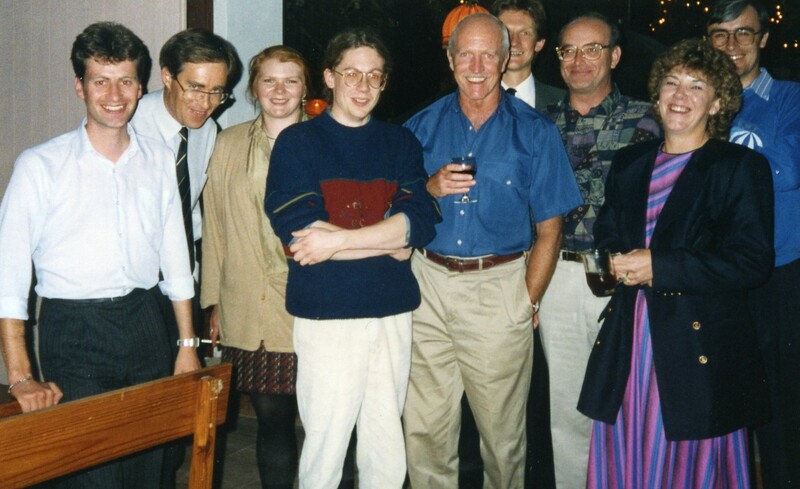 Cyril was a young(ish) lecturer who sat in on my lectures. It's also good to know that (no thanks to me!) 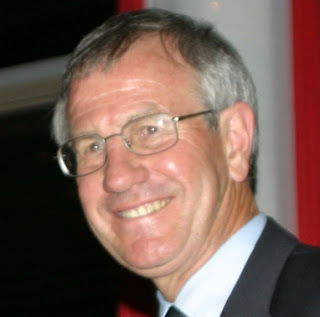 the department has evolved, under his guidance, into one of the most respected mineral processing institutes in the world, and Cyril is now Chairman of the International Mineral Processing Council. 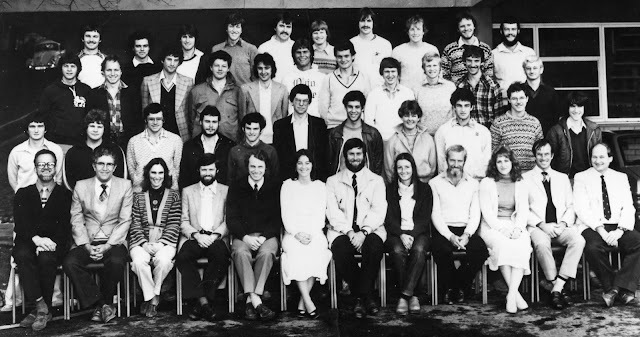 See if you can spot me and Cyril in the photo below, the UCT chemical engineering staff and final year students of 1982. Double click the image for the full size photo. 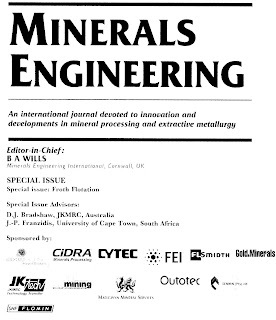 Elsevier's electronic publication service ScienceDirect is now well established, and it is widely used for downloading papers from journals such as Minerals Engineering and International Journal of Mineral Processing. What is not as well-known, however, is that Elsevier books can also be downloaded and purchased electronically, and, perhaps more importantly, so can individual chapters. 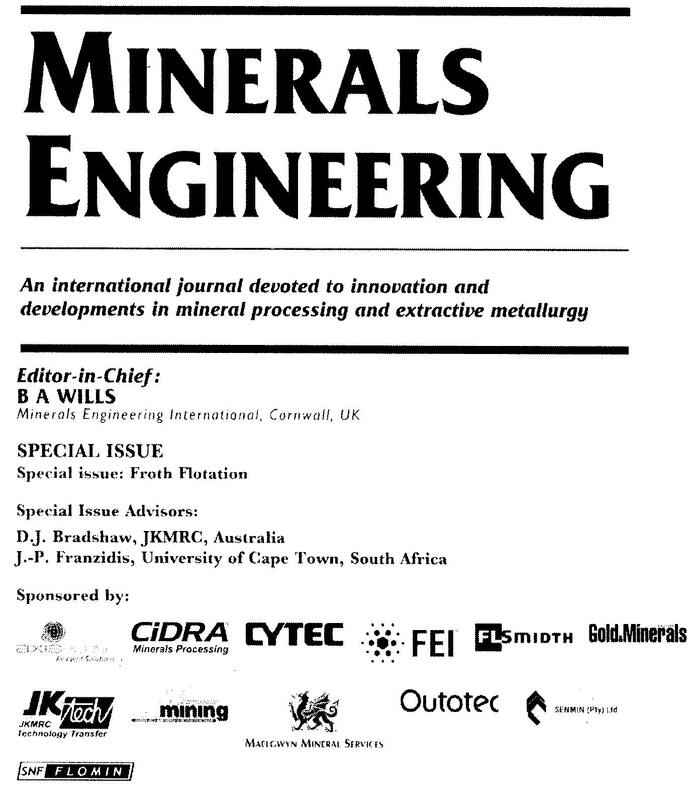 I was only aware of that myself yesterday when searching for Mineral Processing Technology on ScienceDirect. I also found the now discontinued Developments in Mineral Processing series, which includes Mike Adams' seminal volume Advances in Gold Ore Processing.